fabulous cartoon videos and animated presentations. Interactive video is so popular with teachers, marketers, cartoon designers and more. 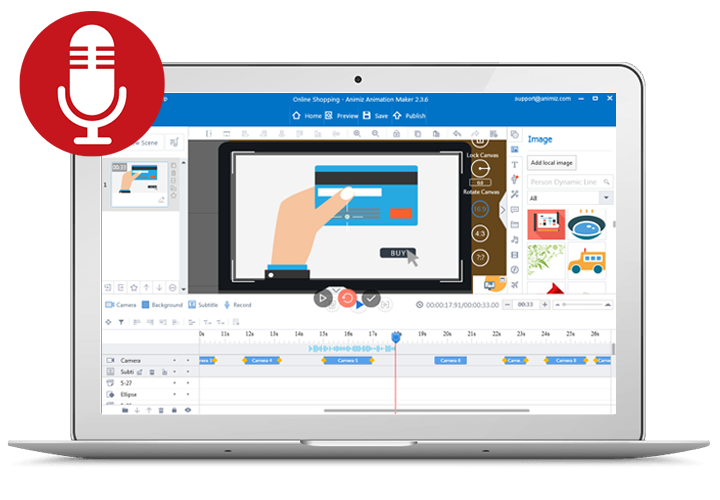 Animiz animated video creator is such a powerful application that can makes everyone incredibly easy to make a stunning video from PPTX on both PC and Mac. Just having a click of button, the destination PPTX file will be quickly imported to the service and then converted into a dynamic video project. And you can go ahead to edit and customize every scene in the project. You may have one more scene in your video project. In the Animiz, you have the option to set up suitable and attractive transition effects to make your animated video play smoothly and naturally. There are tens of built-in scene transition effects applied for designers, such as Move, Wave, Fade in, Clock, Gradient Sweep, etc. All of them can be used freely and flexibly. Animiz supports you to create sound directly with record tool and play it automatically in different scenes. It is extremely suitable for those who want to make an introduction or express ideas with their voice. If you're going to make a tutorial, this record tool is definitely excellent for promoting your work into a higher level. Besides, after recording, you can go ahead to make the audio clip and adjust the volume. And the audio replacement from the local file is also allowed with Animiz record tool. Whether the generated video is for the individual or business, it is better to publish your video online or offline to make it more meaningful. 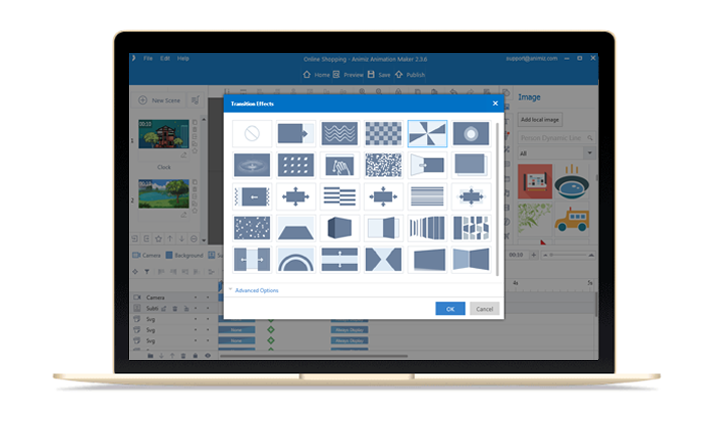 Animiz satisfies you with multiple publishing formats including the online Cloud publishing, video and Gif, which makes you easily to export your work to YouTube and many other social media platforms. 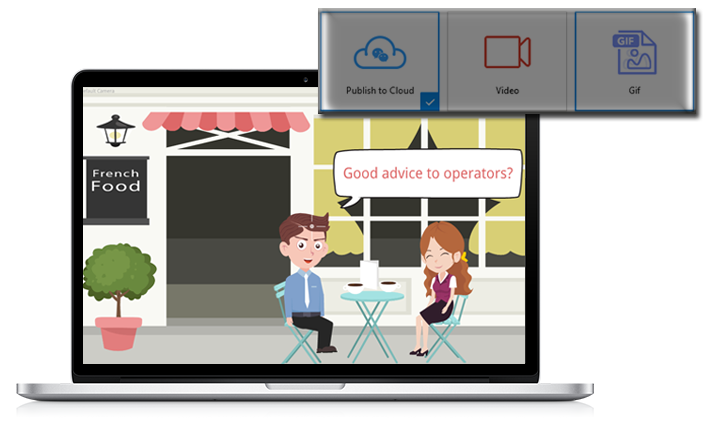 If you want to produce an online video, you should upload your project to the Animiz Cloud. For the video and Gif publishing options, they can make it possible to view and read on the local without Internet connection. Import PPTX file to the application and converted into dynamic video project. Use record tool to create sound directly and play it automatically.